The chart caller may have bit a bit generous with his description of the shenanigans of that day: This shouldn’t imply that the Baffert entrants in this race aren’t deserving; they certainly are. But instead to bring about an awareness that Baffert really does seem to embrace the notion of teamwork between entries. Chitu is the horse that you’ll hear the most about — he was great on this track and at this distance last out. Indianapolis and Midnight Hawk are the other two for Baffert, with Midnight Hawk ideally looming off the pace. Of all the Baffert horses, is the one to bet, if you can get past Shared Belief. That said, even with some risk beyond the standard “racing luck” — which certainly hurt him last time at the start — that’s a very tough thing to do. 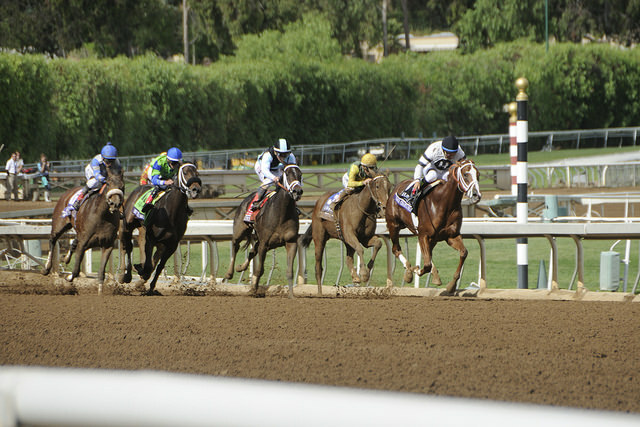 The main concern for Shared Belief is the cutback from 10 furlongs in the Classic to 7 furlongs today. This is fairly uncommon; the most recent that I found was Colonel John in 2008, who finished 4th as the narrow second choice that year. I’d also watch for any bias on the track that could aid Chitu. 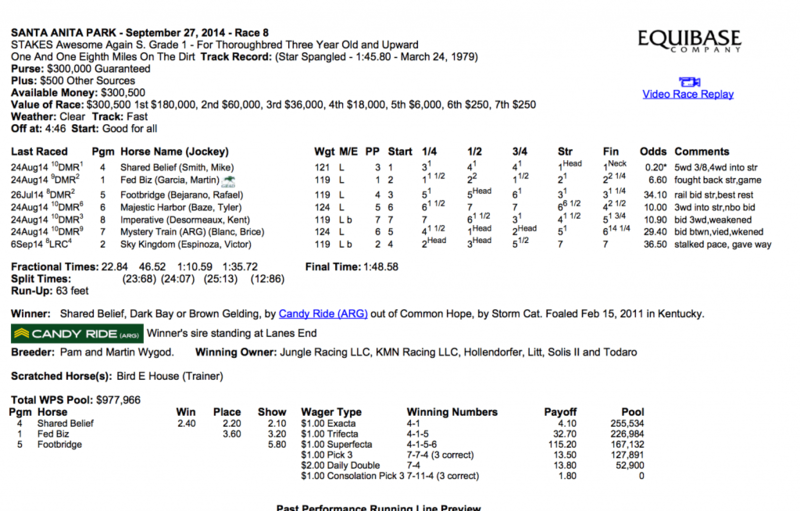 But, even with these concerns, Shared Belief should ride his speed and class advantage. It’s been forgotten after the hubbub with the start in the Classic, but there was some concern that he might be dull after that strong effort in the Awesome Again. But now he’s rested and he’s still the fastest. I fully expect to see a winning effort from him today.